Allows your ELSA™ 1.0 Interpretation Device or ELSA Lite™ App to access live interpreters in over 200 languages, any time and anywhere. With ELSA™, translation has never been easier. 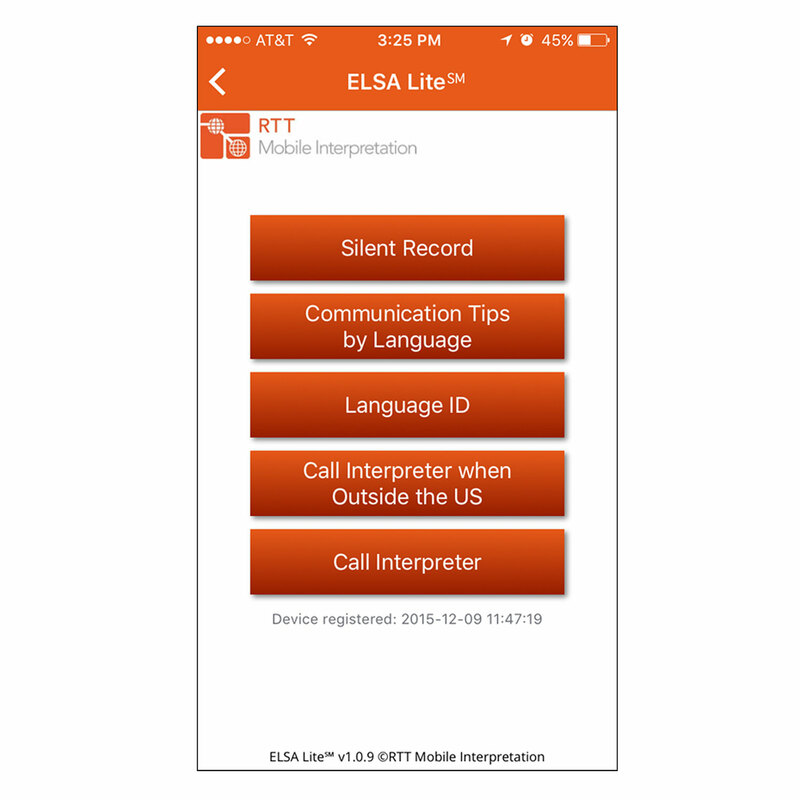 Minutes are used with either the ELSA 1.0 Mobile Interpretation Device or with the free downloadable ELSA LITE Application. Minimum of 30 minutes ($1.50 a minute) required for use of the device or use of the application.